Osteoarthritis in dogs is a common degenerative joint disease. It can be caused by congenital diseases (such as hip dysplasia, elbow dysplasia), or it can be the result of injuries and trauma to the joint. Read on to learn more about the causes, symptoms, diagnosis, and treatment of canine osteoarthritis. Soft tissues are made up of ligaments, the muscle-tendon units (where muscle attaches to bone), and the joint capsule that surrounds the joint. The ligaments hold the joint in place and control joint movement.The muscle-tendon units are points where tendons attach to bone and are located very close to joints. The joint capsule has two layers. The outer layer is strong and the inner layer produces a thick fluid (synovial fluid) that lubricates the joint and feeds the cartilage. The capsule has an excellent blood supply and nerve supply. Cartilage and the bone underneath it make up the hard tissues of the joint. Cartilage absorbs shock and minimizes the joint’s surface friction to ease and improve movement. The bone under the cartilage determines the shape of the cartilage surface. The bone provides the strength needed to support the dog’s weight. It also supplies the joint with blood vessels and nerves. Joint fluid acts as a lubricant for the joint and carries nutrients to the cartilage. It is made up of mostly water but also includes other molecules such as hyaluronic acid (HA) which makes the fluid thick and provides lubrication. What then happens to an arthritic joint? Wearing down and cracking of cartilage. Thickening and stiffening of the joint capsule. Hardening and grinding down of the bone beneath the cartilage. New irregular bone growth around the joint. Osteoarthritis usually progresses slowly. First there is joint inflammation which leads to structural damage of the joint. This worsens the inflammation causing the joint to be damaged further. Since the joint cartilage has a limited ability to heal, osteoarthritis is incurable and if not managed and controlled properly the condition will continue to spiral downward. Trauma: Injury is the most common cause of acquired joint disease. 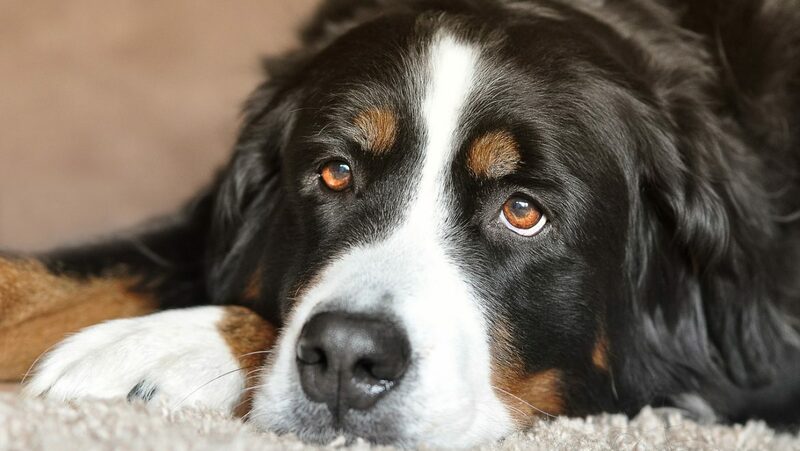 Traumatic injuries that can lead to osteoarthritis in dogs include car accidents (being hit by a car), falling from a high place, and bite wounds. Immune-mediated Joint Disease: This is an unusual group of joint diseases in which the antibodies attack the dog’s own connective tissue. An example of immune-mediated joint disease is canine rheumatoid arthritis. Infection: An infection of the joint can be caused by bite wounds or previous surgery, but joint infections are rare in dogs. If it happens, however, it has to be treated immediately. For mild infections, antibiotics can be used. Surgery is needed for more severe infections. Cancer: Osteoarthritis and joint pain can be the first signs of cancer, such as cancer of the surrounding bone and cancer of the joint capsule. Fortunately, joint cancer is very rare in dogs. The classic sign of osteoarthritis in dogs is pain. As dog parents, it is therefore important to be able to recognize the signs of pain in our dogs so that we can take quick action to control the pain and treat the underlying cause. In a dog with a lame front leg, the head goes up when the painful limb hits the ground. This “head nod” is a type of gait abnormality associated with a sore front limb. A dog with a lame hind limb may have a horizontal “hip sway” or a vertical “hip hike”. These gait abnormalities are ways of the dog to lessen the pain he feels while walking. A dog who “bunny hops” (using both hind limbs together in a hopping manner) may be a sign that both hind limbs are affected. Bunny hopping is usually associated with juvenile hip dysplasia in puppies. Another common sign of pain associated with osteoarthritis is difficulty rising because osteoarthritis causes joint stiffness and weakening of muscles. Rising from a lying position requires a lot of muscle strength and that explains why an osteoarthritic dog has difficulty getting up. Some dogs with arthritis may not show lameness but may be unwilling or unable to exercise as long or as hard as they used to. They may also be reluctant to climb stairs. Some dog parents may mistake this as a sign of aging, but the possibility of osteoarthritis should not be overlooked. A dog with chronic pain caused by osteoarthritis may show a change in his behavior. For example, he may become more grouchy or aggressive even towards his family members. He may lose his appetite, or may just want to lie in a quiet place to rest. 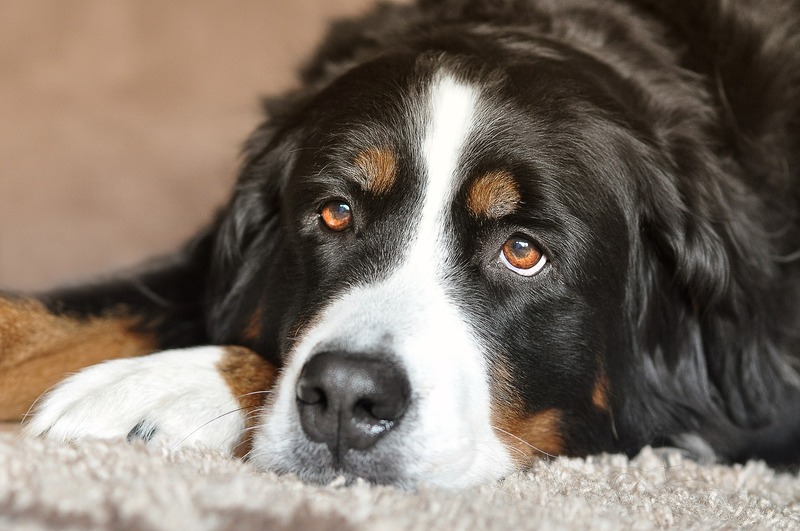 Besides having chronic pain, another major sign of osteoarthritis in dogs is limb dysfunction. This means that the dog cannot move normally or the movement is limited. For example, there is decreased joint range of motion such as the inability to bend or extend a joint fully. Limb dysfunction can also be caused by muscle weakness or atrophy. Because the dog uses the painful limb less, muscle mass in that limb will eventually be lost. To diagnose canine osteoarthritis, your vet will carefully palpate your dog’s limbs to see if there are signs of muscle atrophy, joint swelling, less range of motion, and pain when the affected joint is moved. X-rays will be taken to look for signs of increased joint fluid, bone hardening, and new bone formation. Other tests (such as joint-fluid analysis, CT or MRI scans, bone scanning) may also be required for a definitive diagnosis. Osteoarthritis in dogs is incurable, but timely and proper treatment can greatly improve the dog’s quality of life. 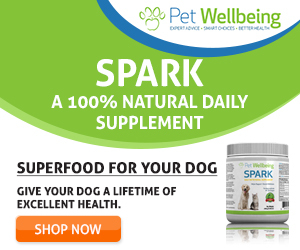 Please visit our page on Dog Arthritis Treatment for more information.